What Would We Do Without Espy? “Espy” has been a caregiver for over 25 years! 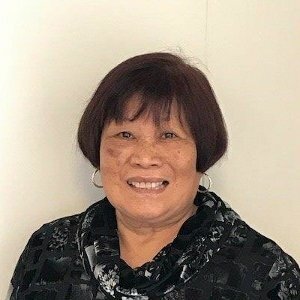 She became a caregiver after retiring from her career as a school principal in the Philippines. Espy loves working with many of our hospice clients. She is dedicated to helping clients move “to the other side” as she calls it. She devotes herself to making those last moments comfortable and meaningful for the whole family. A recent client said that she relies heavily on Espy to guide her through the difficult moments when no one else is around. Espy’s focus is on the quality of life, however that may show up. She recently was able to help a hospice client make a short outing to take in some of her favorite old sites. The trust Espy built helped this client accept help from other caregivers so she was able to remain in her own home. Thank you, Espy! You are an Angel doing remarkable work!